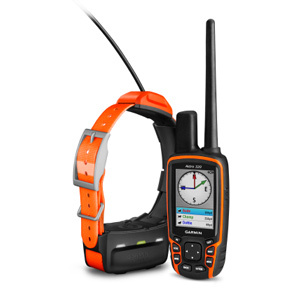 A dog tracking system comprised of the Astro 320 handheld and DC 50 transmitter collar. Top-mounted, high-sensitivity GPS and GLONASS steel VHF antenna with 9-mile range; optional BirdsEye Satellite Imagery and TOPO maps. 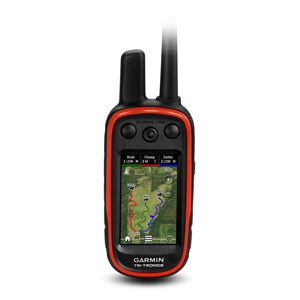 Easy-to-use integrated handheld system allows you to track and train your dogs in the field from a range of up to 9 miles. Has 18 levels of continuous and momentary stimulation, tone and vibration alerts, and preloaded with TOPO U.S. 100k maps.